Since the bombing many civilians have been suspects in the Thailand bombings on August 17 2015. Australian model and English Tutor Sunny Burns was initially accused of the bombing because of his similarities to the CCTV footage of the suspect. At the time of the bombing he was captured on CCTV at another location. Initially there was no suspicion of foul play by terrorists. Usually, terror groups make claim to such wrong doings as they are trying to gain attention from the world. This attack was well orchestrated - there must of been a huge amount of people involved. They would need to work out get away routes, and plans of the area. Planned escaped routes and preparation of bombs. There must of been a group or individual willing to hide the Bangkok Bomber. It has emerged this week that it could of been in retaliation from a Chinese group called Uighurs (Turkish Speaking Muslim Group - sometimes known as Uighur, Uygur, and Uigu). In July Thailand had deported over 100 Uighurs back to mainland China. As of now they are not allowed to use the Thailand route as a pathway - as it has been suggested that Uighurs have been involved in people smuggling. But there is still no concrete evidence against anyone. There is also suggestion that a man named Abudureheman Abudusataer from China, is the mastermind behind the whole thing, an extremist who could have easily dreamed up this terrible plan. He fled Thailand two days before the bombing, and was en-route to Bangladesh and then Turkey. Although Turkey have stated that he has not been through their immigration. 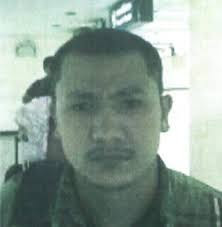 As time goes by they are sure to catch their suspect - the Thailand Bomber. It has been over a month since this terrible incident at Bangkok's Erawan Shrine. The truth will eventually come out - lets hope sooner rather than later - so families affected can carry on with the rest of their lives.